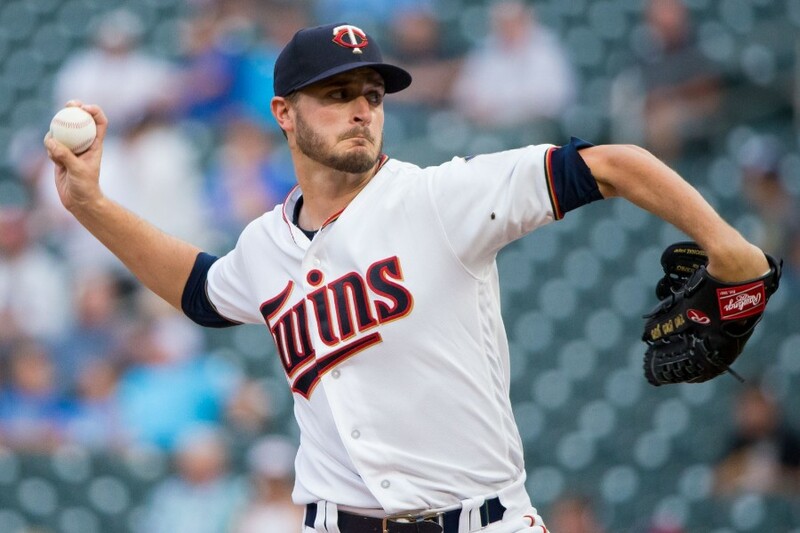 Jake Odorizzi looked like he was going to completely derail in the second inning. He gave up a pair of runs on two hits and a couple of walks. Meanwhile, Pirates starter Jameson Taillon was perfect through the first three frames. That script flipped real quick. Odorizzi averted the train wreck. The Twins got to Taillon. Outside of that rocky second inning, Odorizzi was outstanding. He held Pittsburgh to two runs on four hits and two walks over 5 2/3 innings while striking out nine. He ran into some trouble in the sixth and was lifted after giving up back-to-back singles. It was a big spot in the game, as the Twins were clinging to a 3-2 lead, and Paul Molitor turned to Tyler Duffey. He got Francisco Cervelli swinging to end the threat. Duffey stayed in and delivered a 1-2-3 seventh inning as well. The Twins’ big three-run fourth inning was kicked off by a Joe Mauer single, followed by an Eddie Rosario double then a two-run single from Jorge Polanco. He scored on a Mex Kepler single later in the inning. The Twins got a pair of insurance runs in the eighth thanks to a Miguel Sano home run that plated Polanco. Trevor Hildenberger earned his second save of the season. Gotta love the seven pitch Save. A total non-Experience. Just nice in general to have a game where pretty much everybody steps up and does their job. Surreal, almost. But nice. Tom- anything said about the change in the outfield tonight? We have Hildenberger, with his 4.66 ERA (nevermind that, it means nothing, just some numbers), (and if he starts innings, he can't let inherited runners score) closing games, on purpose. ( 7 pitches) (7 pitches) (7 pitches). It may look dark now, but there is vision there. Or a vision. And visions, in baseball, always lead to that world series ring! We grumble a lot, but there is real talent on this team, and last night they shined. Looked like there was more focus with every pitch and every at bat. I would love for them to finish the season strong. Nice to see a game where everything went how it was supposed to. Odorizzi with a strong outing. Polanco and Sano with big hits. A nice night from the bullpen. It was sort of like watching What Could've Been. It appears Reed is the forgotten man now. MOY is aware he is under contract for 2019, right? Might it not make some sense to get him into some games to see if he is capable of helping at all? Buxton will be back in center in a few weeks (my fingers are crossed) so they need to get the other three some experience in the corners, especially Cave. Dozier, Kepler, Morrison, Sano and Buxton were bad and they played every single day. Adrianaza was our third best hitter and now he is not. Wilson caught more games than Garver... now Garver is catching more games than Wilson. Improvement was a poorly managed low bar to clear. Before this game early in the day, I was thinking.Its time for Molitor to get the bulk of these young players together and let them lead.My point was to get Polanco,Rosario,Sano,Kepler hitting together in the order, I later taught Garver should be add to that order with a slight hint of Cave to.To my surprize the line-up was as I hoped, almost. Here we had Rosario,Polanco,Sano and Kepler hitting together.Great.Now to take it one step further, hit Gaver after Kepler and let him play all but day games.As for Cave, may be let him lead-off if Joe sits.Paul you need to trust this Core of player and you need to let them work it out together.One more hint, get Berrios,Romero and Gonsalves together too. Dozier, Kepler, Morrison, Sano and Buxton were not bad and they played every single day. Now you've gone and harshed my mellow. Someone's got it all figured out. Adrianza was never our third best hitter. Sadly... Yeah he was. It was sometime in June, Mauer was on the DL. 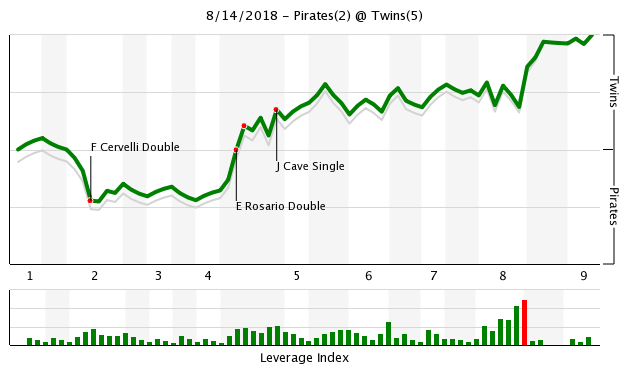 Kepler was in a deep slump. After Rosario and Escobar... It was Adrianaza who was next best in terms of season production in the every day lineup. He had better stats than Dozier, Kepler, Grossman, Garver, Morrison. If you are talking potential and who should be the best hitters... Of course not... But in terms of actual production in 2018. Yeah... We had a stretch where you could sadly... He was. The mention of Adrianaza wasn't meant to inflate his value... it was just a reference point to how bad we were and how easy it would be for us to be playing better in August. Sadly... Yeah he was. It sometime in June, Mauer was on the DL. Kepler was in a deep slump. I dont think a couple months of part time hitting makes for evidence that overrides several previous years. I realize we have differing opinions on this, but I dont want a manager who tries to decide who will produce today based on the previous game. I dont want a manager who will play Adrianza over Dozier simply because Adrianza got a couple singles last week. So no, I dont agree that Adrianza was the third best hitter, no matter what batting average you throw out. I believe that given 500 ABs, there is a strong likelihood that Adrianza would be outhit by many current and former Twins, so you give those 500 ABs to the guy who should be better, and let nature take its course. The best way to mess that up is to decide Adrianza is hot, and take ABs away from the guy who SHOULD be getting them. And I guess i dont see how playing Adrianza more would make us better in August, in any case. Ok... but... You are quite a few miles from the point I was making. If my point was in Florida... You are somewhere in Idaho. The context of my point was in response to a couple of posts stating (paraphrasing) "The Twins seem to be playing better". I was responding to why they seem to be playing better by stating that was because they were playing pretty bad before... meaning... It's easy to look better when they were playing so bad before. Instead of typing "they are playing better because they were playing really bad before" it would have simplified my point. I confused things (like I tend to do) by using examples of how bad we were. I used the example of Adrianaza once being our 3rd best hitter to point out just how bad we were. It wasn't a statement of how great Adrianaza is, was or will be... it was a statement that things are pretty bad when Adrianaza is our 3rd best hitter in terms of actual production and he was. If that was a compliment of Adrianaza... it was about as backhanded as you can get. Now... If I head over to Idaho... We might have a different opinion on that but we might not be understanding each other and are probably closer than you think. If you feel that I'm benching Dozier for Adrianaza... I've been misinterpreted. If you feel that I'm not going to tolerate a 3 month slump... then I've been interpreted correctly.